How to Order Different Formats of the "Rising Phoenix"? 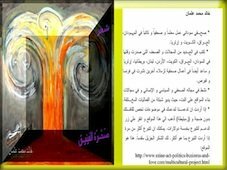 The Phoenix Order goes through the process on this page, whether you wanted the Arabic Phoenix poetry ebook, or the hardcover book. home-biz-trends.com/phoenix-order.html - Phoenix Order: Weaning of Vigilance by Sudanese poet, Sudanese journalist Khalid Mohammed Osman on beautiful Ethiopian woman. Please read this page carefully to support us taking some steps before ordering your copy. 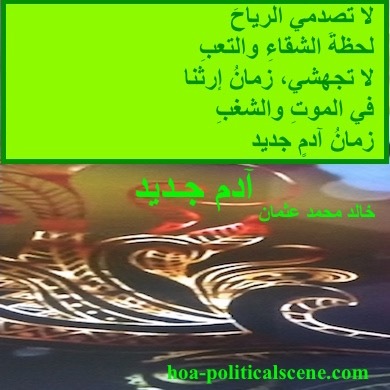 You can read excerpts too in some couplets, if you knew Arabic. Buy Wakening of the Phoenix, or Rising of Phoenix poetry e-book, pay only $9.00US and get more ONE e-book as a bonus. Buy this poetry e-book, pay $9.00US for it, add additional donations to my multicultural project, and get THREE e-books as a bonus. The bonus included will help you definitely know more information on how the Ezine Acts Publishing process goes online, how to use the best Ezine Acts Editing and Publishing process and how to use the Net to make money while you work at home, or just know more about online small businesses. The gift of love included in this bonus will even help you write better for the Web, whether you were about to build web pages on bilingual websites, or you want to use some affiliates, or you want to improve your website presence. Press the Paypal button above to fulfil the Phoenix Order and pay through this service for the first edition ebook. It is encrypted and secure process. To support this multicultural project you can add donations too through this service. Make sure to provide your email address, so I could make it easier for you to get the ebook. To order the second edition of the Rising of the Phoenix hardcover book use my Ezine Acts Publishing Board here. If you can't order the Phoenix through the two options here, use the form below to contact me and I'll tell you how to get a copy from the first edition, or the second edition of Rising of the Phoenix. 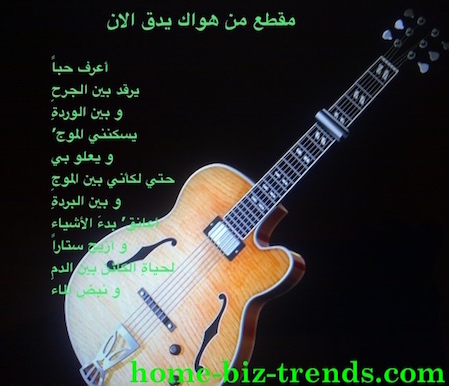 home-biz-trends.com/phoenix-order.html - Phoenix Order: from "For Sinbad, the Child and the Parturition" by Sudanese writer, Sudanese poet, Sudanese journalist Khalid Mohammed Osman on guitar. To support the Ezine Acts Multicultural Project before ordering your book, please do like this page, tweet it to Twitter, or share it with your social media network, or pin the images you see on it. You are welcome to print verses on images here to add them to your decor on your saloon at home, or at your office. You can also share them with you friends by sending some images to them. 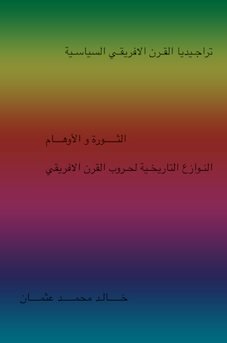 If you have an Arabic website, you can take 2,3 images from the Arabic Poems page, or use the HTML code there to add them to your website. However, don't take more than that and adhere to the publishing ethics and copyrights. 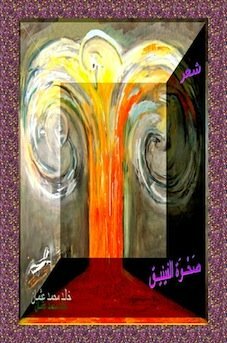 I published my poetry book, few years ago and it is now in Cairo. The second edition of the poetry book is here to enjoy reading, or ordering "Rising of the Phoenix" hardcover book and e-book. Watch out for the audio book! home-biz-trends.com/phoenix-order.html - Phoenix Order: Elhami Lutfi the owner of Alhadarah Printing in Cairo Book Fair with a copy of Rising of the Phoenix by Sudanese poet Khalid Mohammed Osman. The Rising of the Phoenix - Order: Khalid Osman's Book in Cairo Book Fair, 2010. 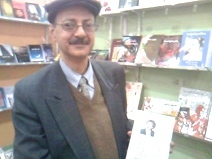 Gallery Disc: Elhami Lutfi Bolus, al-Hadara Printing and Publishing taking a shot in Cairo, Egypt in the pavilion of Cairo Book Fair 2010, showing Khalid Osman's poetry book "Rising of the Phoenix". home-biz-trends.com/phoenix-order.html - Phoenix Order: The first buyer of Rising of the Phoenix by poet journalist Khalid Mohammed Osman in Cairo Book Fair 2010 with a copy. At the wing of Khalid Mohammed Osman's poetry book with other writers. 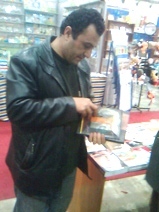 Gallery disc: Phoenix Order: The first buyer of the Rising of the Phoenix poetry book in Cairo Book Fair 2010. The publication of this edition of the book was coincident with Cairo Book Fair. So, luckily the book got there. home-biz-trends.com/phoenix-order.html - Phoenix Order: Friend Attif Ismael showing Rising of the Phoenix by poet journalist Khalid Mohammed Osman in Cairo Book Fair 2010. 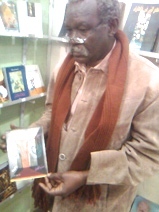 My friend in the Egyptian capital city of Cairo in Cairo Book Fair 2010 showing my poetry book Rising of the Phoenix. This poetry book has been followed by a selected poetry book by the same title you can take a look at it and buy at Lulu. home-biz-trends.com/phoenix-order.html - Phoenix Order: Friend Attif Ismael reading Rising of the Phoenix by poet journalist Khalid Mohammed Osman in Cairo Book Fair 2010. Friend Attif Ismael reading the poetry book in Cairo Book Fair. 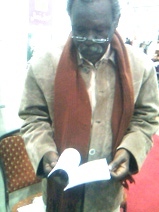 Elhami Lutfi Bolus, al-Hadara Printing and Publishing taking a shot in Cairo, Egypt in the pavilion of Cairo Book Fair 2010, showing my poetry book. The poetry book appears in the photos here. The first buyer appears in the second photo at the right and Attif Ismael appears in the third and fourth photo viewing the poetry book. Some of the books I have published are on the right column of the page and they are also in many pages on the HOME BIZ TRENDS. For updates see the HOME BIZ TRENDS BLOG. There are other blogs such as blog, blogger, Blogging for Pleasure, blog it, the Ezine Acts Blog, RSS blogging Ezine and Share blogs and all of them could give you more ideas about publishing online and offline. The Ezine Acts Publishing has the most wanted insights on the publishing process with the editing and publishing highlighted. 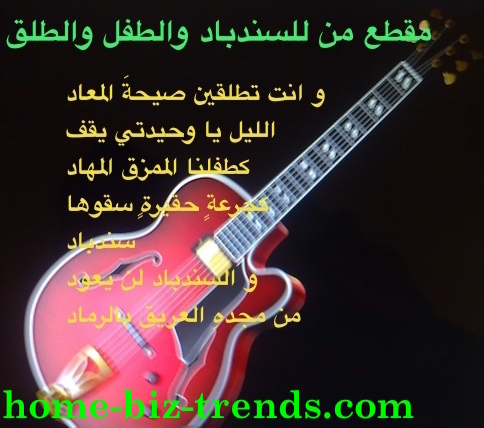 home-biz-trends.com/phoenix-order.html - Phoenix Order: from "Your Love is Beating Now" by Sudanese writer, Sudanese poet, Sudanese journalist Khalid Mohammed Osman on guitar. See other books I have published at the right column. You can also order the Phoenix and the other books from the right column. If you had a language translation service like the Ezine Acts Language Translation, or you want to translate some of the verse here, use the form below to get in contact with me. 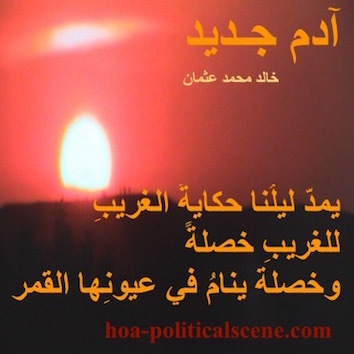 home-biz-trends.com/phoenix-order.html - Phoenix Order: from "New Adam" by Sudanese writer, Sudanese poet, Sudanese journalist Khalid Mohammed Osman on guitar. In addition, if you did have this service online, I could show you through the online business consulting services how to use it and how to build it to improve your life, free. Just provide more information about yourself when you complete reading the page I linked to it here. home-biz-trends.com/phoenix-order.html - Phoenix Order: from "New Adam" by Sudanese writer, Sudanese poet, Sudanese journalist Khalid Mohammed Osman on beautiful mask with top lime. It seems that the Phoenix Order has additional values to influence and motivate you to use your knowledge and empower you to achieve personal success online building targeted narrow niches, whether they are on the publishing field, or just about any other passion, or hobbies. 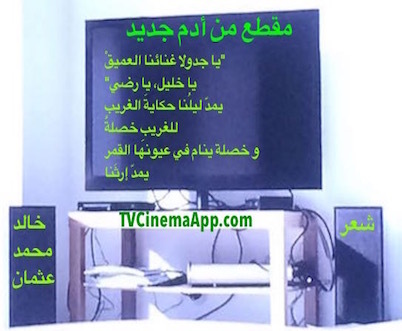 home-biz-trends.com/phoenix-order.html - Phoenix Order: from "New Adam" by Sudanese writer, Sudanese poet, Sudanese journalist Khalid Mohammed Osman on beautiful decorated TV Set. Publishing a book, or the process to self publish a book is not that easy for those who do not know this area. In addition, the process is expensive. It also takes time and hard efforts. I contacted already many publishing houses to build business relations and reputation with them to help folk print and publish their books. Use any form on the business consulting page to request help to publish your book. Thanks. home-biz-trends.com/phoenix-order.html - Phoenix Order: from "A Stick" by Sudanese writer, Sudanese poet, Sudanese journalist Khalid Mohammed Osman on beautiful image color. I have designed the hardcover of the poetry book you see on this page using a software, as I designed some verse on images. I could help you design your hardcover book too, without any cost through the business consulting services form. If you decided to forward this page to your friends, use the form at forward Wise Biz to encourage them to subscribe to the Wise Biz newsletter and provide the address of this page to read the Phoenix Order page and support Ezine Acts Multicultural Project. You will receive some free e-books when you did. home-biz-trends.com/phoenix-order.html - Phoenix Order: front cover and back cover of Rising of the Phoenix by Sudanese poet, Sudanese journalist Khalid Mohammed Osman. If you had a language translation service, or you want to translate some of the verse here, use the form below to get in contact with me. In addition to the Phoenix Order, you may also be interested in the SM 9 A Ezine Acts Articles, with its extension into SM 9 B Ezine Acts Articles Section, SM 9 C Ezine Act Articles Index, SM 9 D Ezine Articles, SM 9 E Submit Articles and SM 9 F Submit Ezine Articles. If you found the phoenix order useful, please do tweet, like, or share it with your social media services, or pin the pictures on the page. Thank you very much. You can use the following comments form to comment on the Phoenix Order, or to provide the other information I have mentioned above. Comments on the Phoenix Order appear at the second section of the page, below the Ezine Acts Comment C2 Entries form and above this paragraph.